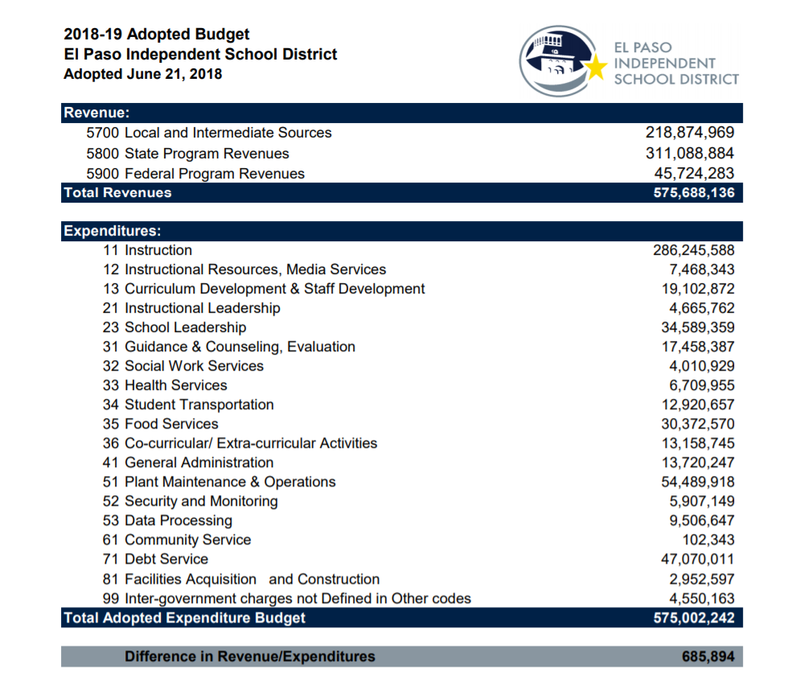 Following up on our post the other day, we wrote in False Promise that EPISD is going to ask us to authorize taking 10 cents per hundred out of their interest and sinking fund property tax rate and adding it to their maintenance and operations rate (currently at $1.07 per hundred). It shows that they currently plan to spend $47,070,011 on debt service. That’s if we don’t allow them to change the current 24 cent interest and sinking fund tax rate to 14 cents. Then they won’t have enough money to service our debts. In fact this April 2017 presentation to the citizen’s bond advisory committee projects that they will need a tax rate of 31 cents for 2018-2019. They are simply robbing Peter to rob Paul. 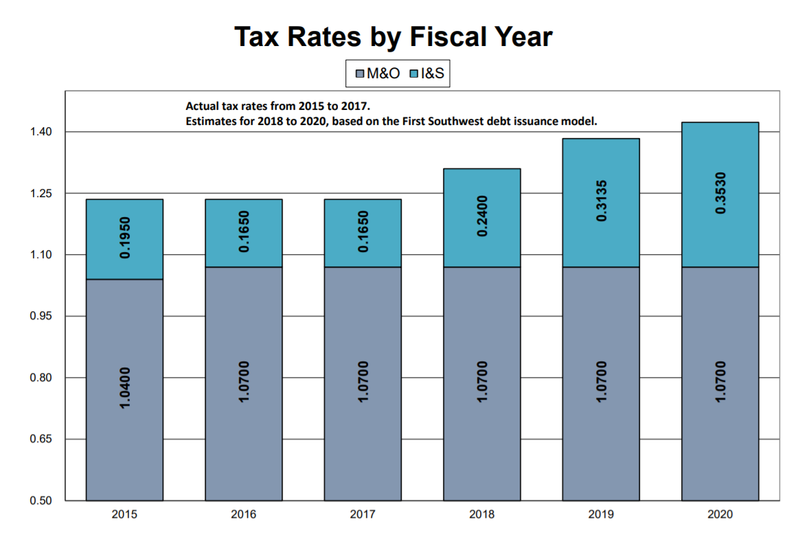 They want us to approve the tax rate swap knowing that they will have to raise the interest and sinking fund rate next year. This entry was posted on Thursday, September 6th, 2018 at 5:00 AM and is filed under El Paso Independent School District. You can follow any responses to this entry through the RSS 2.0 feed. You can leave a response, or trackback from your own site. The kick-the-can check-kiting issue has been raised time and time again for years. Nothing ever changes in city or county government or at EPISD. Voters keep approving bonds and allowing them to do these things with no consequences. Some elected officials eventually get voted out in favor of other bozos. Incompetent executives cash out and move on leaving more a trail of s**t with higher debt and more problems. That’s why bankruptcy is inevitable. This has been my point all along. With the level of debt being issued because interest rates are low, debt service numbers will grow. The politicians around here love moving money from one bucket to another to fund their pipe dreams. But just as folks who take out new credit cards to pay off old credit cards eventually learn, at some point you run out of buckets. All this penny swap does is ensure that in a year or two we are going to get hit with a tax increase to add more to debt service. Yes, they can swap it back, but some how they never do. The last penny swap election was going increase funding for maintenance, yet only last year we were told we needed to have a bond issue on steroids because that maintenance hasn’t been done. Just say no.